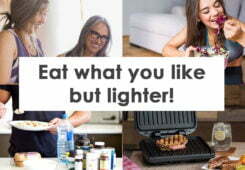 The box was delivered promptly and one point is for sure, you are at least getting a lot of weight for your money. 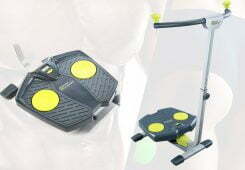 We weighed the box with luggage scales which almost topped 70kg’s, we would not recommend going to pick this up. As with most Reebok treadmills the instructions were well laid out and simple to follow. The booklet came with a set of numbered diagrams for easy assembly and it took us around 60 minutes from placing the box in our spare room to it being completed. Always double check all the bolts after you have put it together. 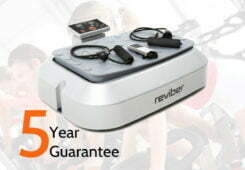 It is mains powered so you will need a wall socket within a 3-4 meter range. With an RRP of £449 it’s evident that Reebok are certainly aiming for that sweet spot between customers looking for a budget treadmill and those who may be able to pay that little bit extra and upgrade to the ZR7. 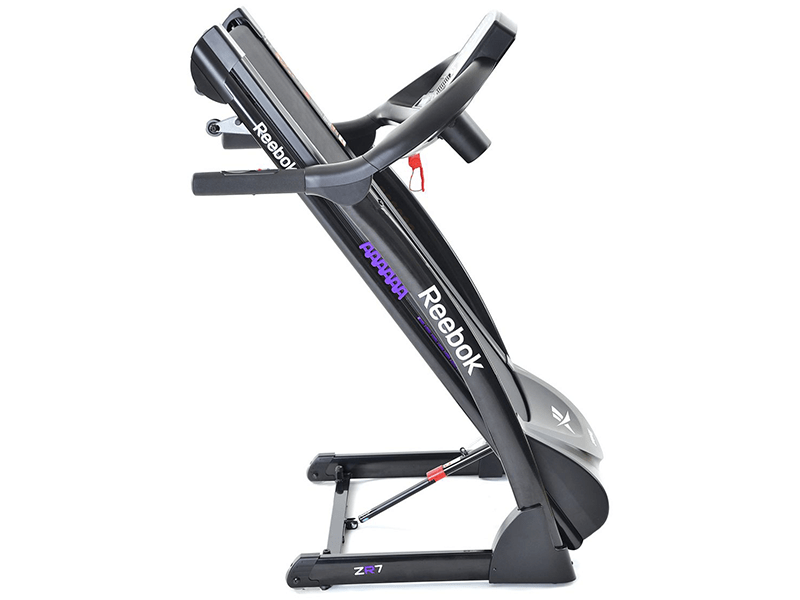 First impressions of the Reebok ZR7 are good, looking at treadmill build itself it’s a nice black all over with a splash of dark purple in places. 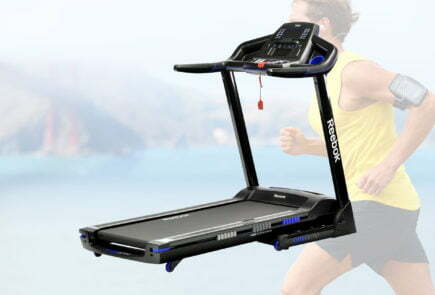 The build quality is to the regular high Reebok standard and has a good sized running deck, high quality frame and arms. With the lower entry price, Reebok have cut back in places, with the motor being one of them. 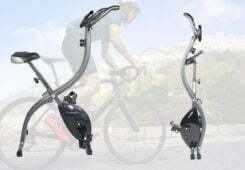 The motor has a 1.5hp peak output and the surprising point was that we didn’t notice that much difference between this and the ZR8 currently also in our home gym. 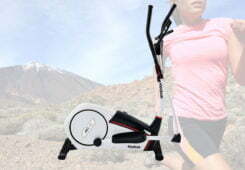 Only those who are looking to include high-intensity sprints into their workout would notice its lack of power in this area. 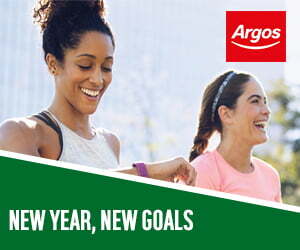 If you are a regular runner who is looking for a good 30-40 minute run session then this is very much suitable for your needs. 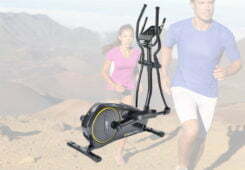 Again in an effort to cut costs, the ZR7 has been equipped with a manual incline system. This does mean that if you want to vary your workout based on incline you would have to get off the treadmill to manually adjust this setting. 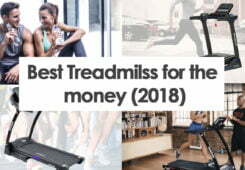 It’s a tricky one because personally I see motorised incline as a high priority, if you have a little extra to spend then you may want to look at a treadmill that includes this such as the Reebok GT40s or ZR8. 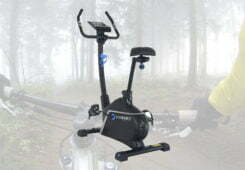 The ZR7 comes with 32 possible user programmes, the majority of these can be found alongside the LED main display. This makes it easy to select based on small handy diagrams rather than having to refer to the book each time. 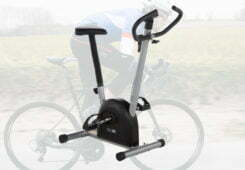 During our testing I completed both the super sprint setting and the fat burn. 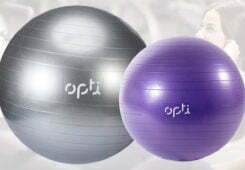 They lasted around 30 minutes and were more than suitable to add into my daily routine. 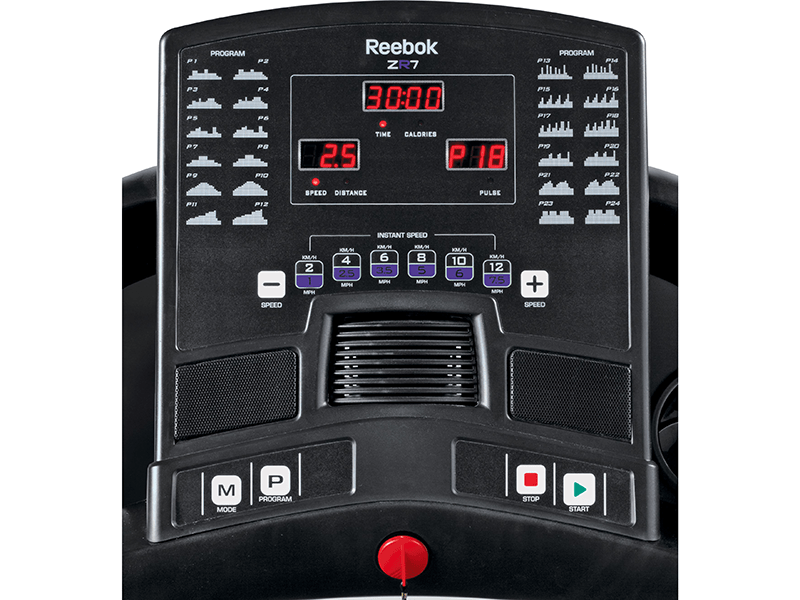 Reebok have done a good job of the button layout with the ZR7, large buttons enable you to quickly choose your ideal speed and gives you the ability to swap to higher intensity and back again without having to hold your finger for a long period of time on the up and down button. Another area that the ZR7 is lacking is with the very basic LED display offered. 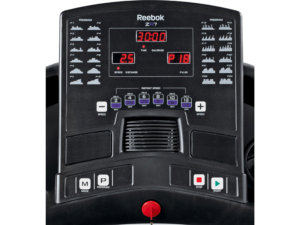 Many displays, including those from Reebok have a newer LCD system that does look better and offer more feedback at any one time. 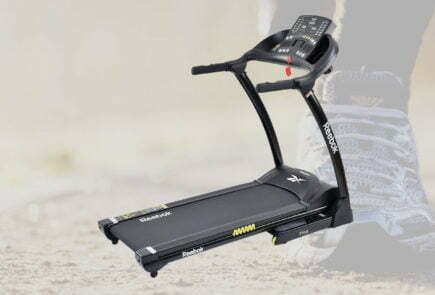 If however, you are looking for a treadmill that you can simply get on and go with minimal fuss then this could be the one for you. 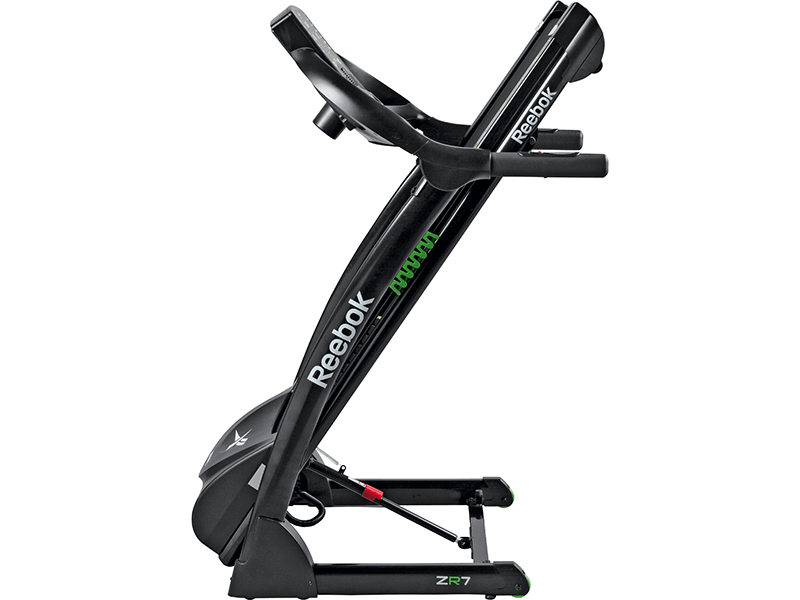 Included with the ZR7 is the Reebok cushioning system. 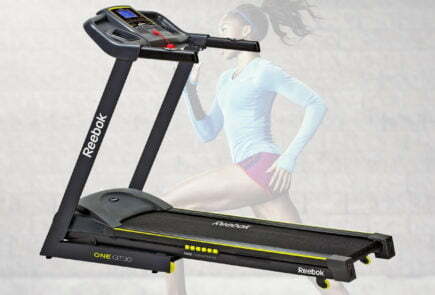 Like Reebok’s other treadmills it offers in our opinion the right balance between impact cushioning and firmness. 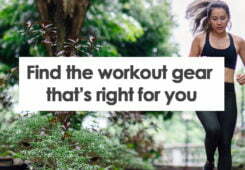 This gives you a good level of protection along with the right amount of spring to each stride. 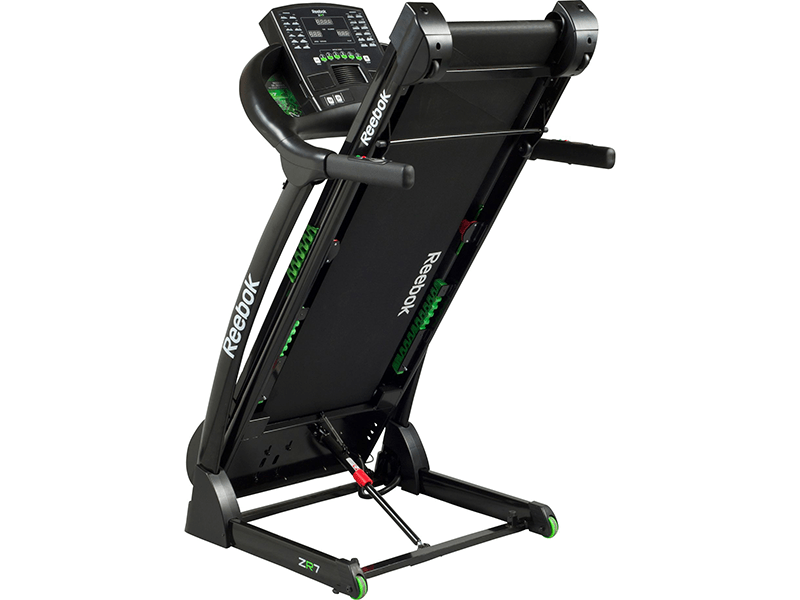 A nice addition to this treadmill is the inclusion of a heart rate monitor on the arms of the ZR7, this allows feedback on your workout during use. 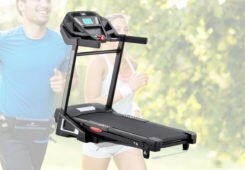 This is especially important if you are looking to run within a desired range such as cardio or fat burn that needs constant heart rate measurements. 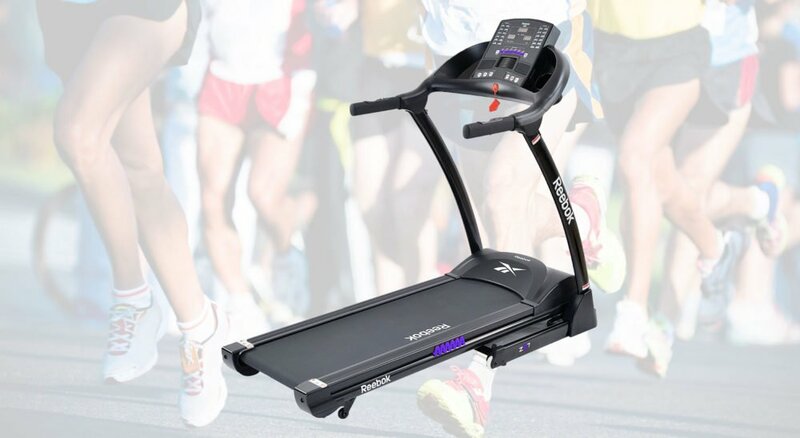 An improvement over the Reebok GT30 is that a drinks holder is included which means that you don’t have to keep getting off the treadmill each time you want to take fluids on board. 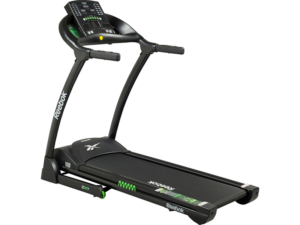 The Reebok ZR7 is a great treadmill for those on a tight budget, if you are looking for a simple yet effective home treadmill not many come close to the quality you get from Reebok for this price point. 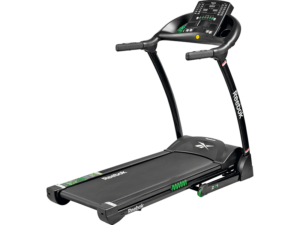 However, if you are able to spend that little extra, this opens up options for treadmills with electronic incline and a better LCD feedback unit. 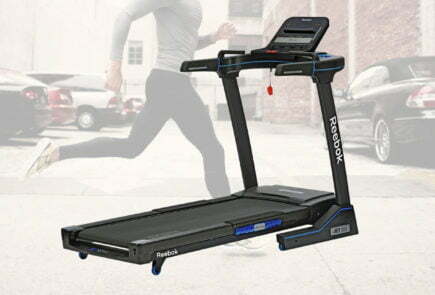 The Reebok ZR7 is the budget treadmill of the ZR range, so how does it compare to its bigger brothers in this category?